Tim Hortons® is giving.us an opportunity to satisfy our cookie cravings in bringing warm smiles to others in need. 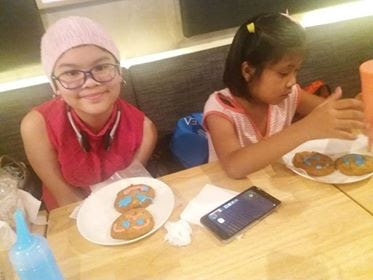 "We are encouraging everyone to help make a.differencs for charities or organizations that are helping those who are in need or are marginalized by supporting our Smile Cookie Campaign," said Stephanie Guerrero, Marketing Director of Tim Hortons Philippines. "As we continue to grow our presence here in the country, we also want to be able to make more contributions to the communities we serve. This campaign is our way of doing that." For every Smile Cookie you buy at Tim Hortons stores this September 21-23, 2018, you help in bringing smiles and raising funds to aid Action Against Hunger Philippines, its partner organization beneficiary for this year. On its first year, Canada’s most favorite coffee chain successfully raised funds for the benefit of Tahanang Walang Hagdanan, Inc. in the Philippines. The donation was ised in the improvement of TWH’s facilities in continuing its rehabilitation and skills training aimed at helping orthopedically handicapped persons to become more self-reliant. 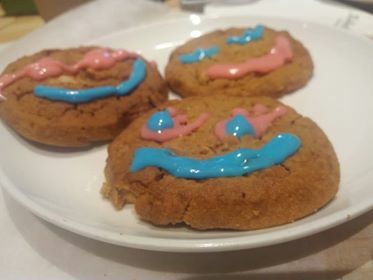 The Smile Cookie Campaign is a fundraising event for Tim Hortons worldwide. It was established in 1996 to help raise funds for the Hamilton Children’s Hospital in Ontario. Today, the campaign continues on as a major fundraiser as it gives 100 percent of the proceeds to local charities, hospitals and communities of choice in which Tim Hortons operates.